Evan Williams of Llanidloes established an Ironmongery business in 1895, situated in the premises next to the bridge in Cwmdauddwr, which is presently “Home Furnishers”. At that time most of the shops were in Bridge Street due to the railway station being close by. 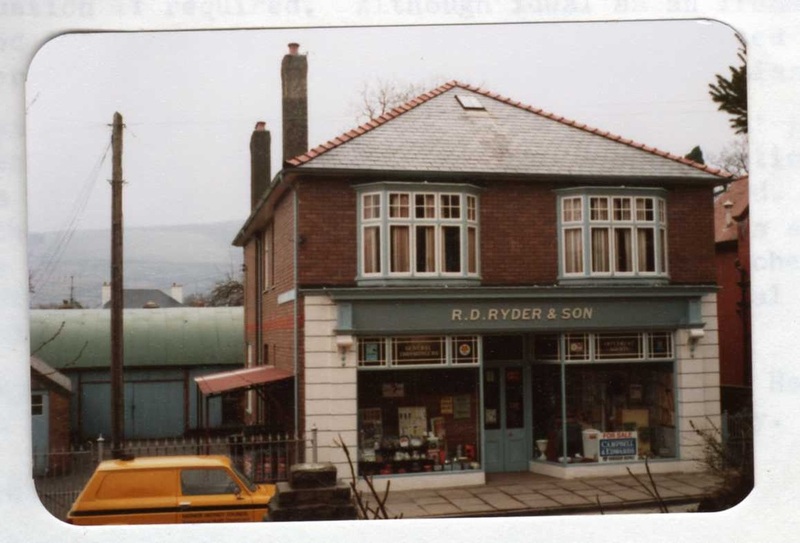 According to the original handwritten Bill of Sale, Richard Ryder bought the business from Evan Williams in 1903 for the sum of £550, and he continued trading in Cwmdauddwr until he built the shop premises in East Street, known as Hafod. Everything was transferred to the new shop in 1930, including the big iron shed which is still in use today. When Richard Ryder died, the business passed to his son, who always seemed to be known by his initials – R.L. (Ryder) and many people thought his name was “Harold” which sounded similar to R.L. In 1982, after R.L. 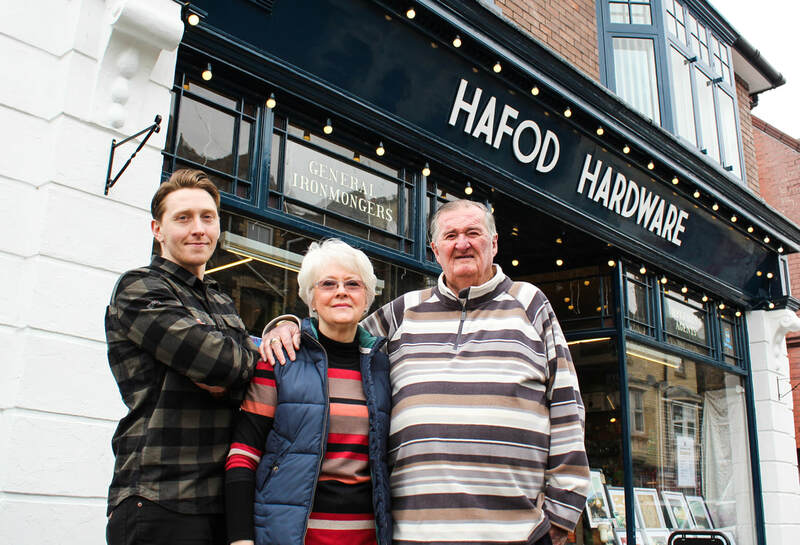 passed away, the business was bought by John and Liz Lloyd. They removed the dividing wall across the middle of the shop, thus doubling the shop area. It is worth mentioning that Edgar Price, of Rhayader, worked for the Ryders and the Lloyds all of his working life until he retired in 1999 – over 50 years. We bought the business in 1999, and it is strange to think that Alan's father and R.L.were first cousins, so it could be said that the business has reverted to “family”. 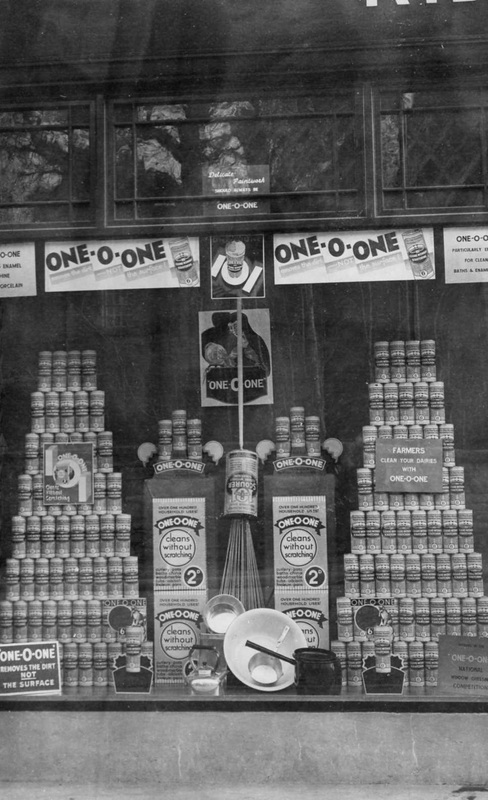 Many visitors comment on the interior of the shop – particularly quoting the Two Ronnies' sketch – and they always remark that there is a particular “smell” in ironmongers or hardware stores. We like to think it is meant as a compliment rather than a criticism!